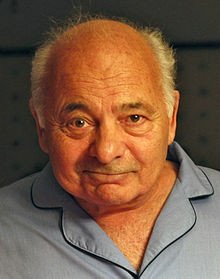 برت یانق (اینگیلیسجه: Burt Young) آمریکالی یازیچی و اوْیونچو. نیویورک ایالتینده دۆنیایا گؤز آچیب. 1970–گۆنوموز ایللر آراسیندا سینما ساحه‌سینده چالیشیب. 1973 M*A*S*H Lieutenant Willis Episode: "L.I.P. (Local Indigenous Personnel)"
1976 The Rockford Files Stuart Gaily Episode: "The Family Hour"
1976 Serpico Alec Rosen Episode: "The Deadly Game"
1984 Miami Vice Lupo Ramirez Episode: "Give a Little, Take a Little"
1985 Airwolf Episode: "Prisoner Of Yesterday"
1985 The Equalizer Louie Ganucci Episode: "The Confirmation Day"
1986 The New Alfred Hitchcock Presents Ed Fratus Episode 1x23, "Road Hog"
1992 Tales from the Crypt Gambler Episode: "Split Personality"
1994 Columbo Mo Weinberg Episode: "Undercover"
1995 Bless This House Mr. Riveto Episode: "The Postman Always Moves Twice"
1997 Law & Order Lewis Darnell Episode: "Mad Dog"
1997 The Outer Limits Captain Parker Episode: "Tempests"
2001 The Sopranos Bobby "Bacala" Baccalieri, Sr. Episode: "Another Toothpick"
2003 The Handler Dino Mantoni Episode: "Bruno Comes Back"
2009 Law & Order: Special Victims Unit Eddy Mack Episode: "Snatched"
↑ "The wild, untold story of The Good Life". Little White Lies. February 11, 2017. Retrieved February 24, 2017. اینگیلیسجه ویکی‌پدیاسی‌نین ایشلدنلری طرفیندن یارانمیش«Burt Young»، مقاله‌سیندن گؤتورولوبدور. ( ۲۲ ژانویه ۲۰۱۸ تاریخینده یوْخلانیلیبدیر). قارداش پروژه‌لرده برت یانق گؤره داها آرتیق بیلگی‌لر تاپابیلرسینیز. بۇ صفحه‌‌ سوْن دفعه ‏۱۳ مارس ۲۰۱۹، ‏۱۱:۵۷ تاریخینده دَییشدیریلمیشدیر.